When will be The Prince's Vision next episode air date? Is The Prince's Vision renewed or cancelled? Where to countdown The Prince's Vision air dates? Is The Prince's Vision worth watching? 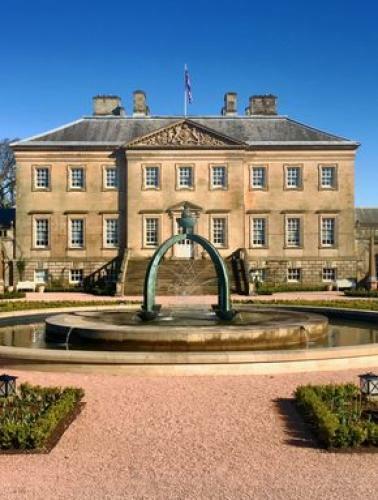 A decade ago, Princes Charles' Prince's Trust acquired the run-down, 18th Century Dumfries House in Scotland, which included a priceless collection of Chippendale furnishings. But soon, it turned into a social experiment that allowed many of Prince Charles' passions to coalesce in a visionary community venture. Almost ten years on, the expensive gamble is paying off, and an entire rural community are its beneficiaries. We tell the story of the saving of the House and Estate, and how its rebirth gives hope to a rural community whose very survival was in doubt before Prince Charles took one ‘Appalling Royal Risk'. The Prince's Vision next episode air date provides TVMaze for you. EpisoDate.com is your TV show guide to Countdown The Prince's Vision Episode Air Dates and to stay in touch with The Prince's Vision next episode Air Date and your others favorite TV Shows. Add the shows you like to a "Watchlist" and let the site take it from there.